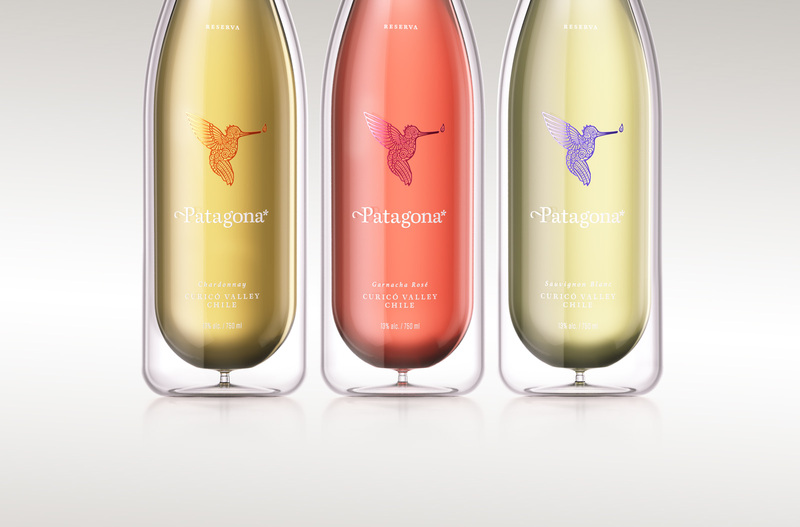 Patagona is a packaging concept which showcases the unique combination of the Cooleo two-layer bottle and the Vinolok glass closure. 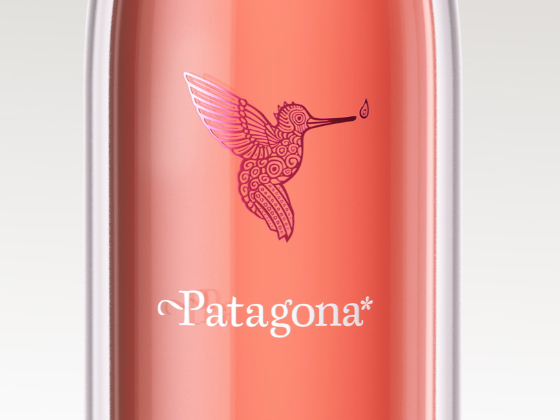 Patagona logo – the Chilean Hummingbird – is hot stamped on the bottle to achieve the metallic look. 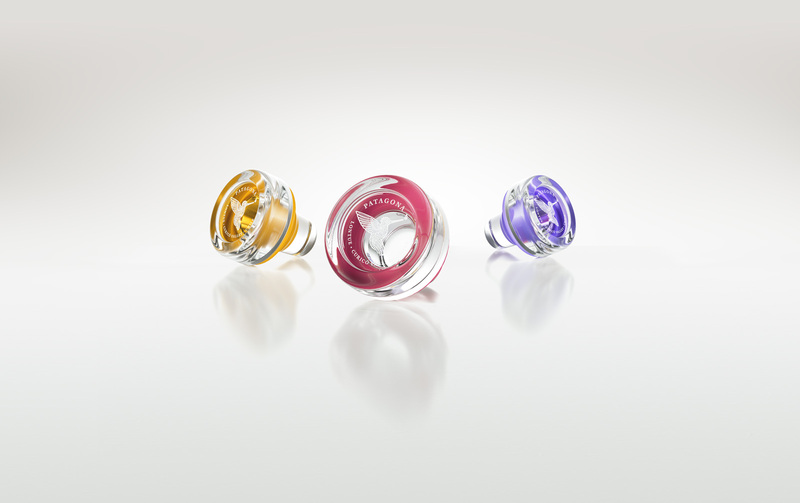 The sealing rings of the Vinolok closures are tinted to match colours of the logo. 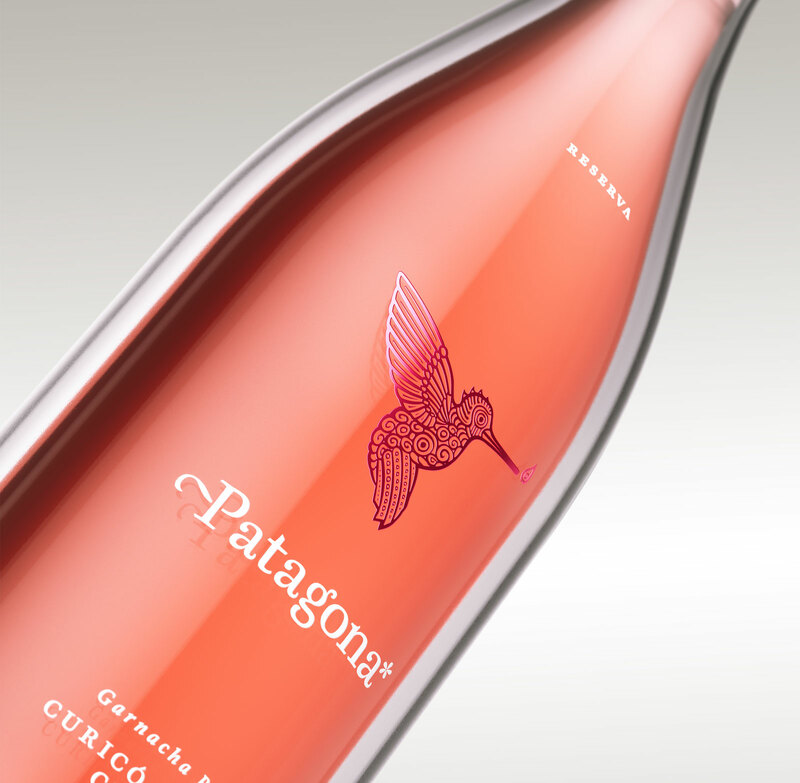 The rest of the branding on the bottle is realized by flocking. 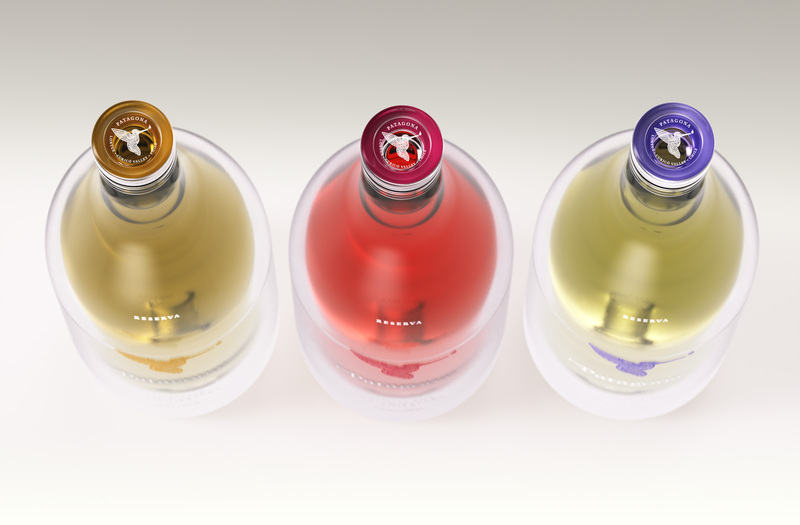 The combination of two-layer bottle and the glass closure gives this packaging a very special feeling of modernity while using the most traditional material for storing of wine. A highly effective layer of insulation between the two layers keeps cold drinks cool for a much longer period than normal glass bottles. This makes it ideal for taking to picknick in the summer. 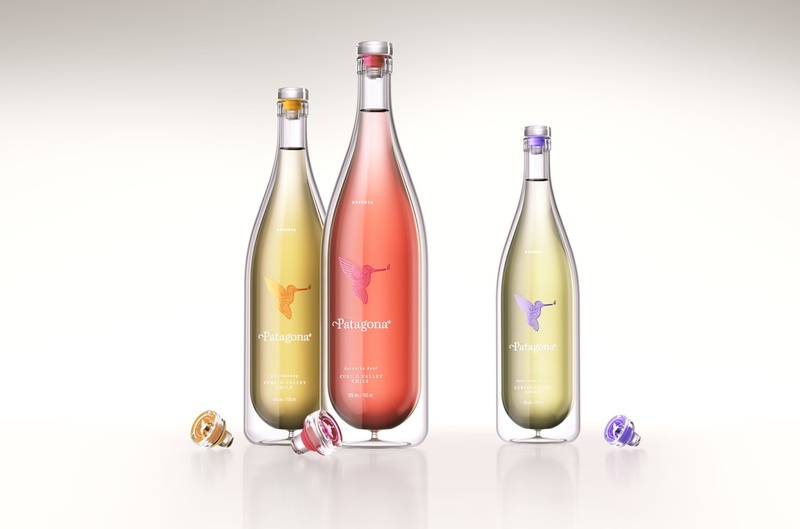 Also, the bottle is likely to be kept after drinking the wine, promoting packaging reusability.